December 20, 2018: Sedona Gallery, Coming Soon! 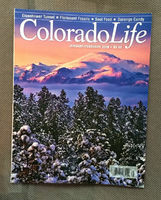 My photo of Pikes Peak, taken from near Wetmore, CO, was chosen for the cover of the Jan/Feb 2018 edition of Colorado Life Magazine--available at most newsstands/bookstores. Terrific magazine if you are interested in anything Colorado-related. Check it out! Pleased that my images are there along with some of the top names in landscape photography. November 18, 2016: Full Steam Ahead! For information on my new EBook, follow the menu link on the top of the page to the Ebook. I'd put the link here, but if you can't follow that simple instruction, you probably won't understand the book. August 16, 2012: New Book! 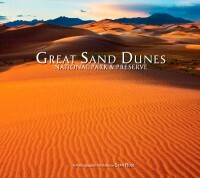 I am proud and pleased to announce that my new book, "Great Sand Dunes National Park and Preserve" has recently been released! The book has been 8 years in the making, and I'm glad I didn't have to choose the photos to include in the book. It's available through the publisher's website, or you can email me to order directly. It's also available at the Sand Dunes Visitor Center, and hopefully many other bookstores in the near future. Special thanks to my friends at RMNP (Nature Photographers.net) and the National Park employees who made this a successful venture. October 21, 2011: Nature Photographers Network Article on "Top Nature Peeves"
See my article in the October Edition of Nature Photographers Network, a tongue-in-cheek look at my Top Eleven Nature Photography Peeves. November 12, 2010: New Website Launched! A long time coming, I finally got my act together and rebuilt and redesigned my website with the help of two great NPN photographers and friends, Jack Brauer and Scott Borger. 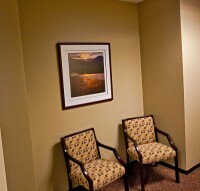 Jack is the best in the business and it was a no-brainer going with his services. Scott is an-up-and-coming designer and I'm very grateful for the work that these two class acts put into my new site--thanks, guys! Next on the list...the book!